People travel the world to find paradise, with a blend between nature and modern life. Costa Rica covers 0.03% of earths surface (51.100 km2), but it is the home to 6% of the worlds biodiversity. Being an integral part of the land bridge that unites North and South American Continents there are countless species that make their home in the numerous microclimates. This property is keenly located in the foothills of the Talamanca Mountains overlooking the City of San Isidro. Here you can find some of the regions best climates for flora and fauna, farming and comfort of life with an average of 70° F (21°C). The 147 acre ranch has been lightly farmed and well maintained by the same family for over 50 years, they used the land while preserving the natural lush beauty the property has to offer. The family regularly groomed the upper rainforest, conserved the cleaned mountain tops and maintained the rolling river lowlands. On the property there is simple three-bedroom farm house at the foothills of the mountain. The farm house is conveniently located close to the stables where you can find cows, horses, chickens and a free roaming gaggle of geese. Currently the house gets its electricity from across the river and water from a year round spring on the property, but can connect to community city water near by. Just behind the structures you will find a garden with yuca, plantains, bananas, and more. The residents of this paradise often find everything they need right at their fingertips! The property is a combination of rolling hills, flat pasture land and open floodplain. The magnificent amount of usable space allows you to visualize the potential this land has to offer. There is plenty of space available to continue running this land as a farm, having a personal compound for your friends and family or even creating a boutique mountain getaway complete with internal trails and spa features. The property is accessed by two different public roads, one on either side of the San Pedro River. 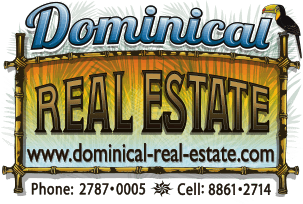 Let a Costa Rica real estate service proffessional show you around. The magnificent space has an internal road that connects the main entrance through the property and out over the walking bridge, leading to the second access point. There are remnants of an old road from the heart of the property up to the top ridgeline, from these elevations there are unbelievable views of the San Isidro del General Valley. The neighboring mountain top is home to the world class five star Hacienda Alta Gracia, a boutique resort with exceptional quality and service. They offer private estate casitas, luxury pools, Central Americas finest spa, cheese making classes and exceptional restaurants. People travel from all around the world to un-plug and recharge, these mountains provide the perfect setting to do this. Fresh wholesome food combined with natures healing ions and some much-needed fresh air makes this area your own personal paradise. Bordering the Rio San Pedro gives this ranch access to an abundance of water flowing down the river. This river is the source of communal water for several towns along the valley. The high flow, shape and large amount of usable space is ideal for a hydroelectric system along the San Pedro banks. The water is accumulated, moved though pipes or channels that cause a turbine to move, the turbine in turn creates electricity while the water is sent back into the river to flow downstream. The country of Costa Rica is trying to run on 100% renewable energy though geothermal, wind, solar and hydroelectric (providing ~80%). The ranch is located close to the City of San Isidro where you can find necessary amenities such as affordable shopping, grocery stores, banks, municipal offices, post office, movie theaters and a fun night life. They also hold the largest farmers market in the region, here you will find vendors from across the country with everything you could imagine and then some. Being one of the oldest towns in the region you can find architectural gems scattered throughout the area such as a large church in the center of town, many places to visit and explore. There are many ways to access this part of Costa Rica. San Isidro has a direct road to San Jose, the capital, over the cloud forest and another route along the coat. This area is also benefited from a direct road to the Southern Zone and Panama boarder. In just over an hours there are multiple beaches to enjoy and a world renowned surf break. There are regular short flights between the regional airports, one located just outside of San Isidro and another at the International Airports. This makes San Isidro the main transportation hub for the regions, guaranteeing easy access and reliability.